Bibs are not only used by toddlers to protect clothing from unintentional stains. 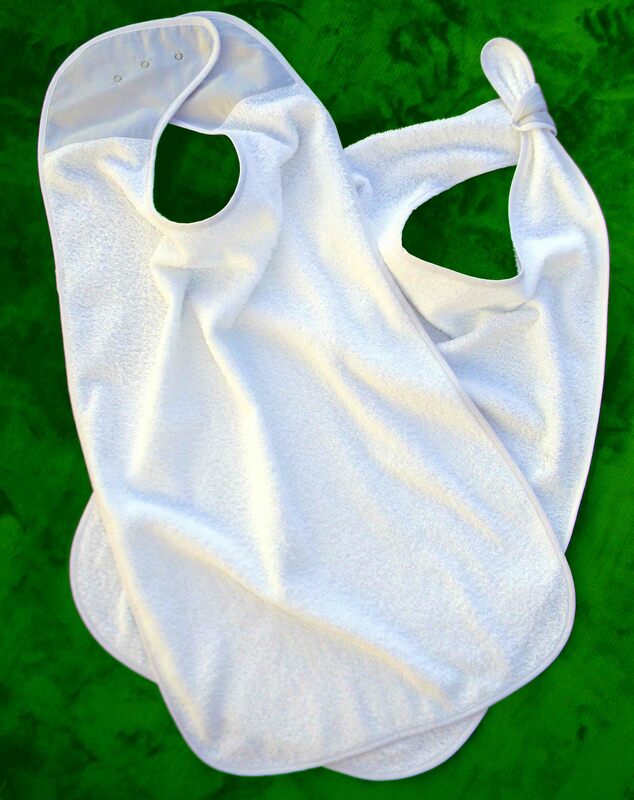 This high-quality terry cloth bib for adults fulfils the same purpose. The bib features a practical snap fastener that allows it to be placed in position with effortless ease. In contrast to a napkin, which often has to be stuck inside the shirt collar and uncomfortably hinders the neck, this bib ensures comfort for the wearer. 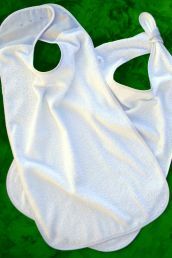 The terry cloth bib is machine washable up to 95 °C.